This is one of the best paleo finger food combos I have ever come across, ridiculously easy to make; a breakfast, starter, snack, canape- it is always a paleo crowd pleaser. It couldn’t be easier to make. Simply fry some organic outdoor-reared bacon. Then mash an avocado. Insert as filling! Boom! Delicious easy paleo snack in no time. The most delicious snack of all time? This sounds SO good. 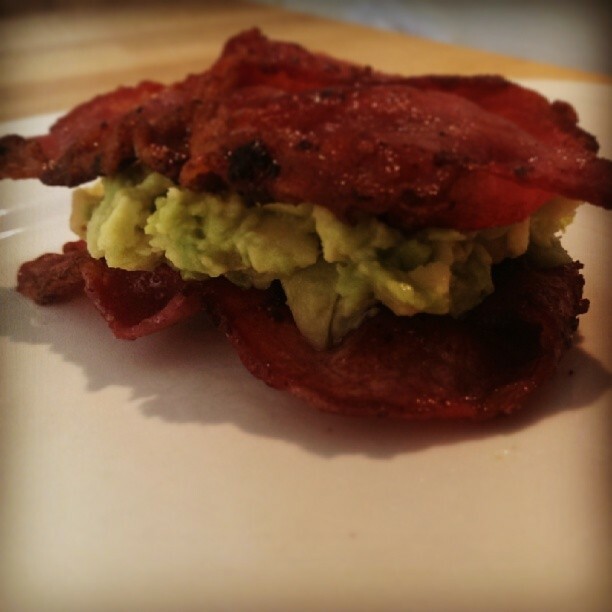 Avocado and bacon are two of the greatest foods on this earth! Definitely going to have to give this a try for lunch sometime this week. Thanks so much for sharing!